n partnership with JetAir UK, JetAir Sahara provides passenger and freight service transport from the main European capitals like London and Madrid to Hassi Messaoud. 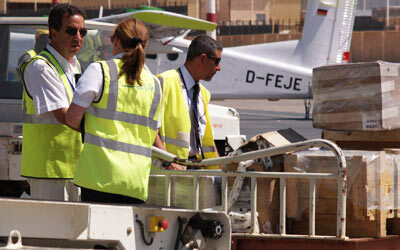 JetAir Sahara offers a full range of ground-handling services at several Algerian airports. Flight schedules operate 24 hours a day, 7 days a week. 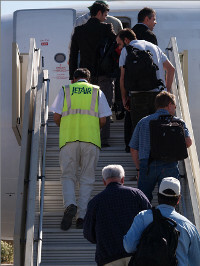 JetAir Sahara ensures passenger check-in and boarding formalities, flight crew assistance, special flight assistance (VIP and Medi-Vac), and assistance for all types of aircraft (passenger and cargo). Ground personnel provide baggage handling and cargo service.